"No, Bertie! That's dirty, Bertie!" says his disgusted yet caring family. Will Bertie ever stop being so gross? 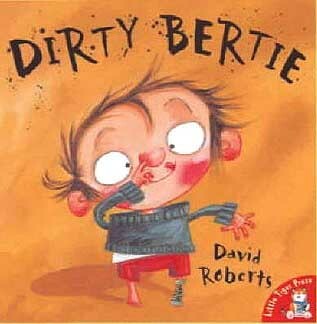 Dirty Bertie teaches without preaching, while children will love Bertie's gross adventures. David Roberts's hilarious illustrations and wacky-yet-wise story will have young readers laughing out loud—and promising never to be a "dirty Bertie" again!